Splutter mustard seeds in hot gingelly oil. 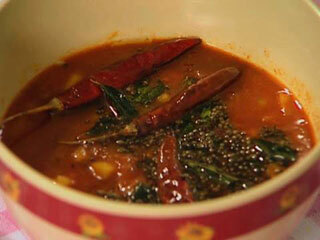 To this add curry leaves and dried red chilies. Then add wild lemon and green chilies, sauté well. 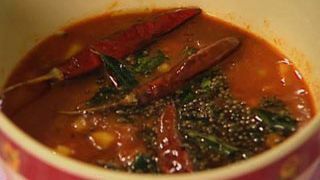 In a bowl add vinegar and dry curry powders (chili, asafoetida & coriander). Add this mixture to the pan on flame. Add required amount of salt and jaggery to it and let it boil. Allow it to cool and serve.